Home / Shop / Christmas Homewares / Nutcrackers / Sequin Nutcracker 46cm 5 Asst. 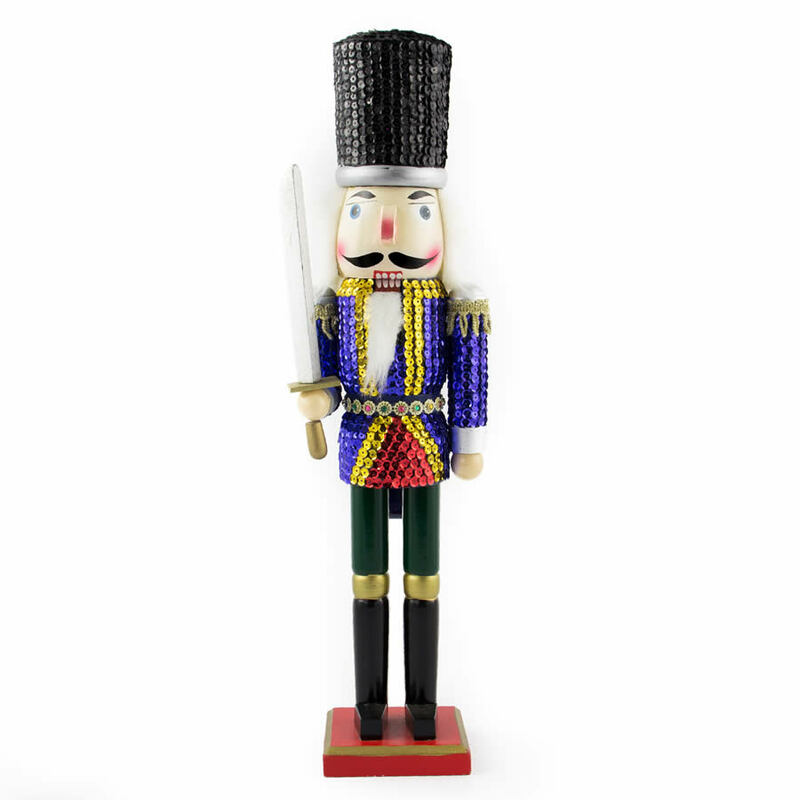 Sequin Nutcracker 46cm 5 Asst. The Sequin Nutcrackers are nutty novelty items that are designed to delight! These 46cm figurines take their fashion direction from the disco era with sequinned jackets and hats making them a glittering prize! These nutcrackers are a riot of sequinned fun, and are available in green, red, dark blue, light blue and rose. If you have a Christmas nut to crack, choose from a nutcracker with a royal crown, or take home the guard with his big sequinned hat and sword. These guys will stand guard beside your bowl of Christmas goodies or you may like to buy a set of 2 to give to that somebody who seems to have everything.